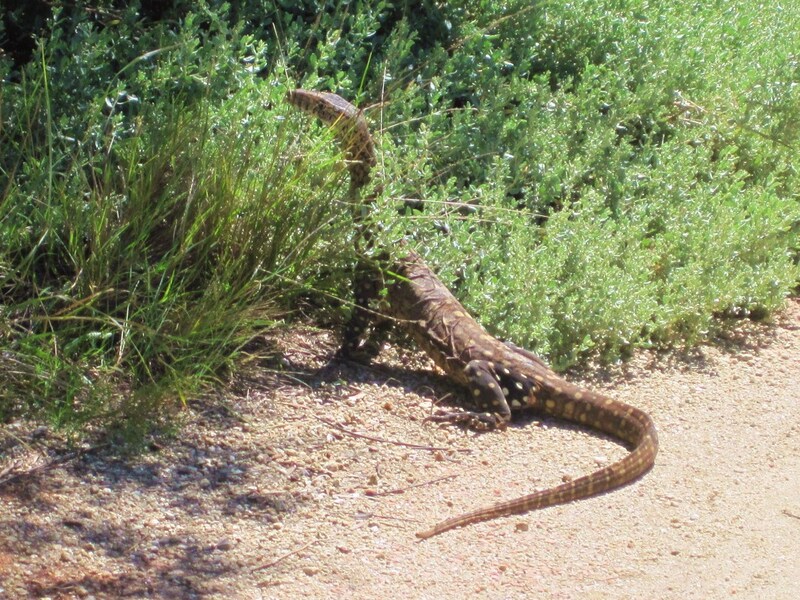 A wild goanna slinks around spinifex grass. It’s quite clear after spending 2 weeks on the continent that Australia suffers no shortage of awesome cities and natural landscapes, as well as quite possibly the world’s nicest people. But more intriguing to me are the wacky, wild, giant and sometimes terrifying things that keep popping up out in the bush. 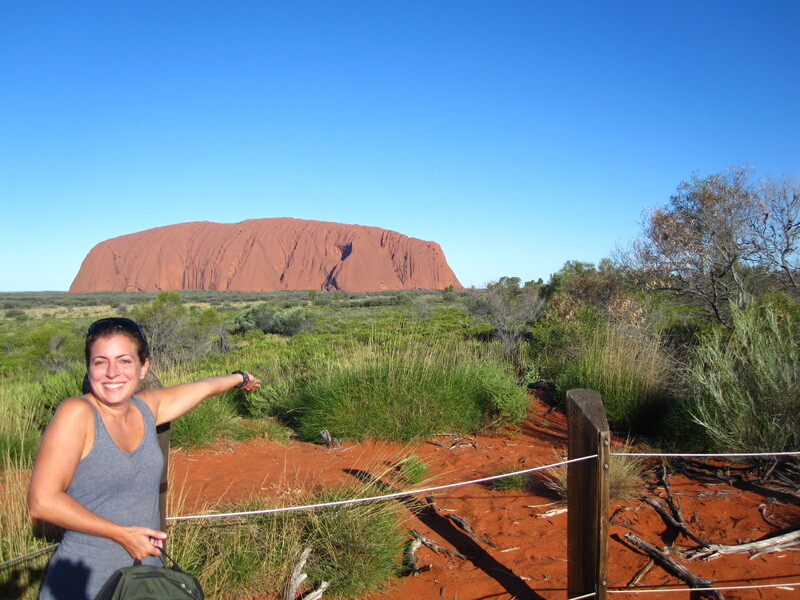 Things like spiders the size of my face, venomous snakes – they’re awfully proud around these parts that 10 of the world’s 13 most poisonous snakes are native to Australia, really rad-looking lizards with beards and body spikes, and oh yes – that giant rock in the desert, Uluru. I’m reminded a million times over here why I love the desert. I love how far and wide it stretches into a seemingly endless open. I love how quiet the nights get and how bright and plenty the stars appear. I love breathing in the morning air and feeling how clean and dry the breeze feels on bare skin. I love how understanding and seeing what thrives in the desert takes work – it’s flora and fauna are no in your face rain forest, but filled with just as many plant and animal riches. The past few days in Alice Springs and Uluru have truly been a peaceful and fascinating gift. I wondered aloud last night whether I missed my calling as a desert biologist. See? No joke – I’m seriously obsessed at the moment. Perhaps Passenger Conners will morph into … Outback Val? Aussie Aussie Aussie, Oi Oi Oi! Who You Calling “Hot Option”? I dig the desert too! I im in awe – spiders as big as your face and you haven’t high-tailed it back home? Way to go, Val. I am so proud of you! Her Hot Topics pants are protecting her! Oh darn, Hot Options. I just did the comment equivalent of storming out of a room and then having to go back for your handbag. Hot Nuggets in the desert!